Formia Vetri Di Murano, founded in 1962, became one of the largest modern glass manufacturers on the Island of Murano before it went bankrupt last year, and its production is often mistaken for work of the older Murano Masters (e.g. Barbini, Seguso). 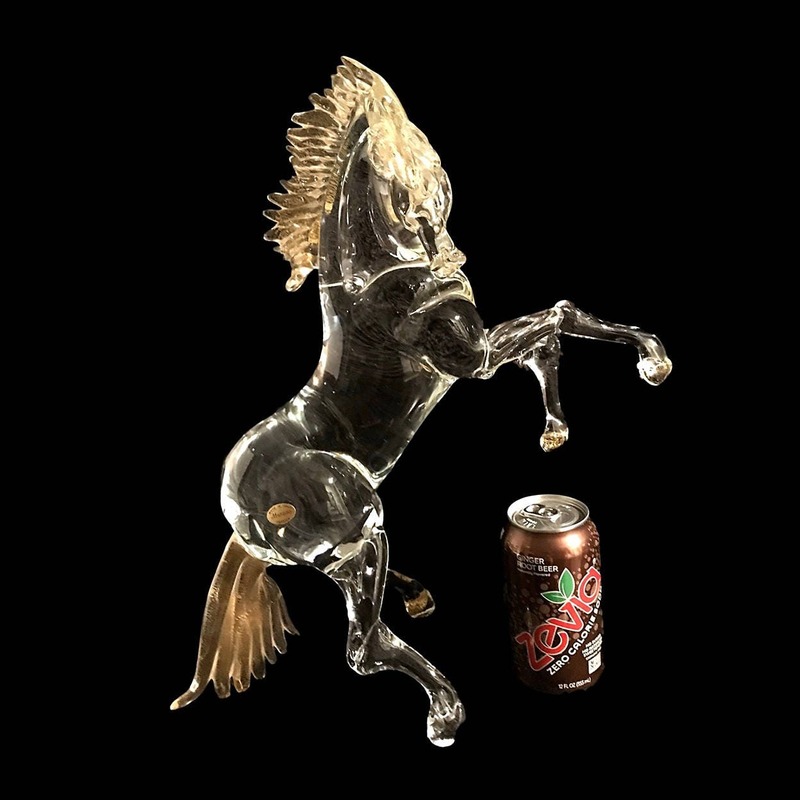 This breathtaking cantering horse scultpure is the best explanation I've seen yet for why. 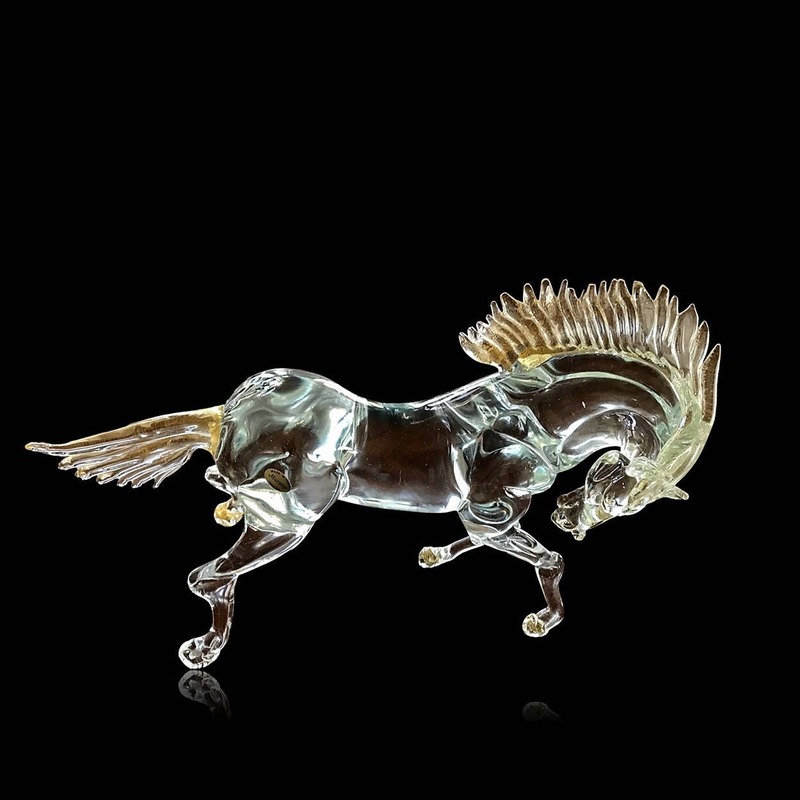 Look at the movement, power, spirit and stride of this beautiful animal, all inexplicably expressed in a simple solid piece of glass. 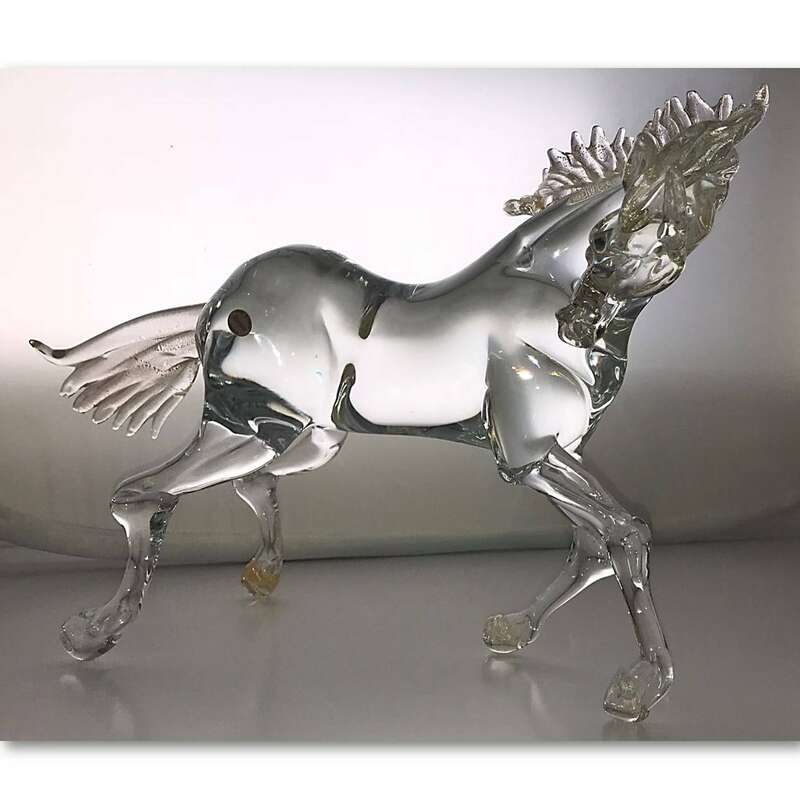 The body of this miraculous creature is done in a thick clear crystal glass while the mane, hooves, and tail are adorned with aventurine flecks. 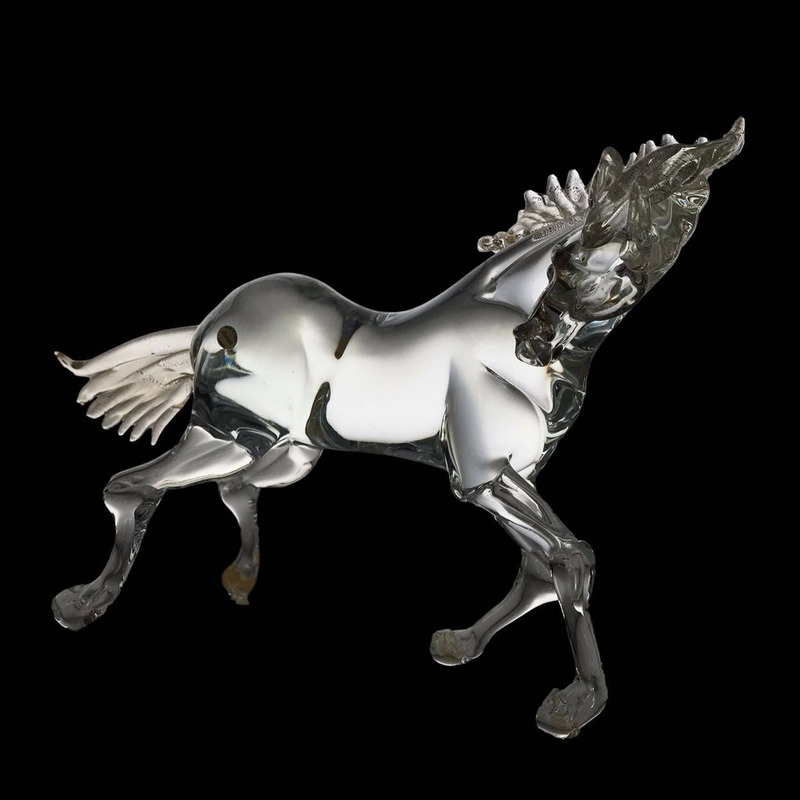 The last photo shows our cantering horse rearing and gives you an idea of just how huge this piece is. While the silver label is a rather generic late 20th Century issue, I've only seen it used on Formia pieces. DIMENSIONS: 17.5" long x 11.5" tall x 5" wide OR, in the rearing position, 17" tall and 13" long.